The Recall Examination form gives you four recall appointments on a single sheet. 100 forms per tablet. 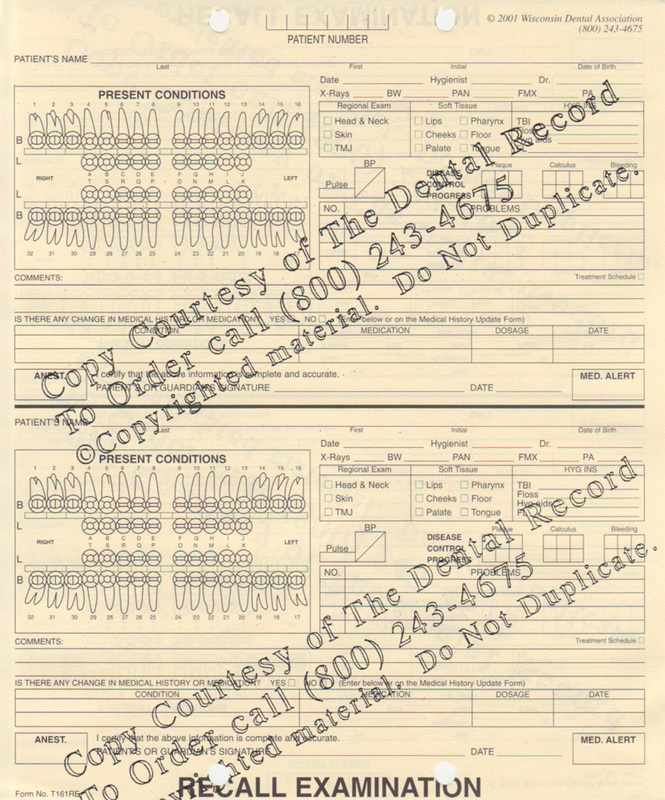 This form allows for 4 recall appointments on a single sheet. Tablets of 100 double-sided sheets, pre-punched and cut to fit. Duplicate information on both sides of this form. Image only displays the front side of this form.